Using a hem tape maker or bias tape can be super tricky sometimes. I find that my fabric gets stuck, twisted…and over all it’s a big failure. 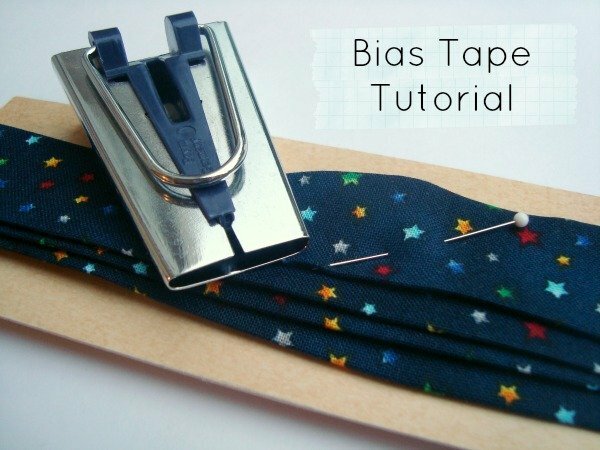 I have picked up a few things that might be helpful in your journey with bias tape producers. 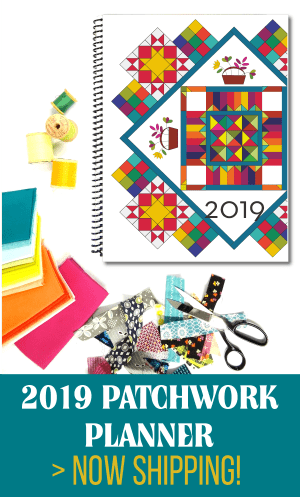 These little metal contraptions can save you a lot of money in the long run…and you can customize your binding or piping to match your sewing project perfectly. There are a few things that help make it work a lot easier use. Cut your strips on the bias. 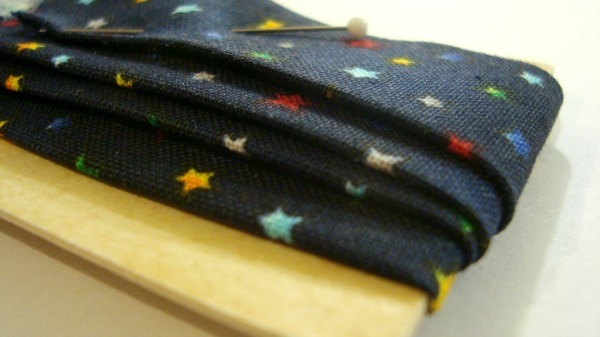 This will allow the fabric to give and pull just a little….perfect for curves, corners or even just straight binding. The fold of the tape will behave a little better too when cut on a bias. Cut the tip of the strip to a point. Shoving all that fabric down the little tiny chanel of the tape maker is tricky. Starting off with a little point will help. A lot. Feed the point into the hem tape maker into the tiny little chanel. 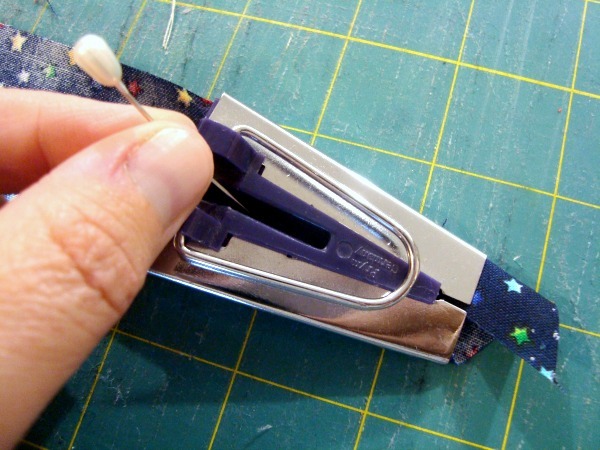 Use a pin to pull the strip down and out the end. Pull just a little bit out of the end to get it started. Move some of the strip around to make the fold correctly- the sides will fold and meet in the center. 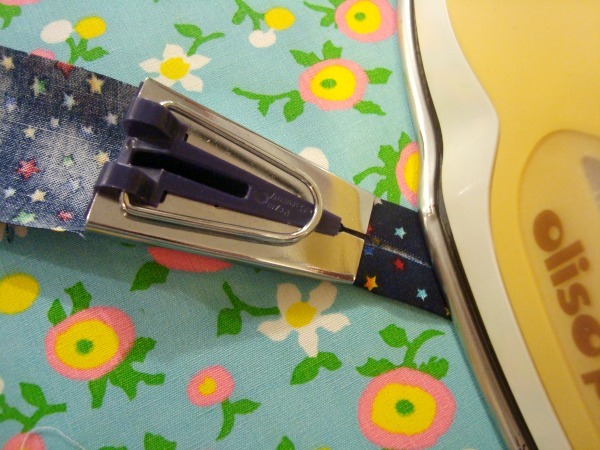 Grab that hot iron and put the tip just past the hem tape exiting the maker. If you’d like, you could use a little bit of starch to make it keep it’s fold. Wrap the bias hem tape around something hard- like a Christmas card, folded cardstock, or leftover plastic ribbon holder. You might want to start a little collection of sizes for yourself of tape makers, since they come in a wide variety or widths. 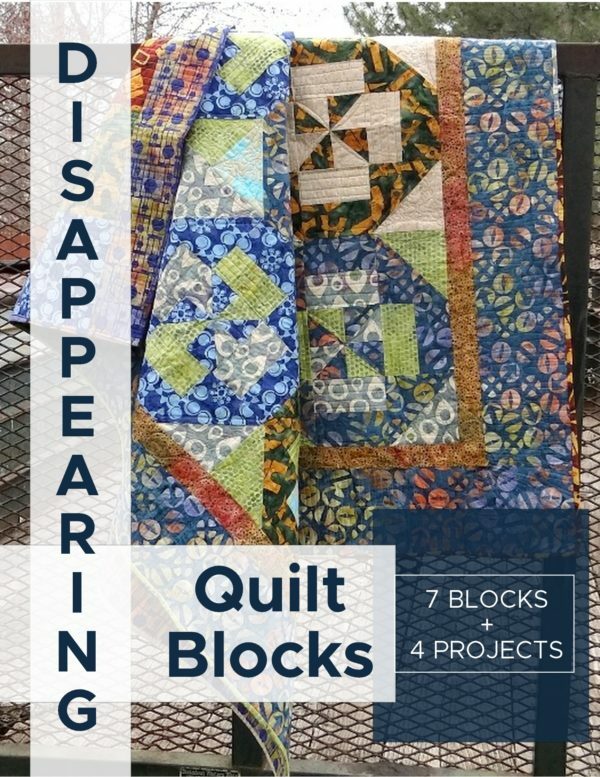 This is a great way to quickly get a big long piece of binding / hem tape too– you could also use this as binding for small projects to big quilts. When, where do you use hem tape? I find it very practical to use spray starch when ironing the bias binding. I starch the strip before it goes into the bias maker. Not too much so the strip doesn’t get too wet from it when it easily stretches and gets too narrow. that is a great idea. It does tent to follow it’s own rules sometimes, that starch would keep it straight. A friend cut a pool noodle into 5 inch sections, ran a length of ribbon through the hole, tied ends together. I wrap my binding around that, put it around my neck, and sew away! It unrolls as I sew and stays off the floor. 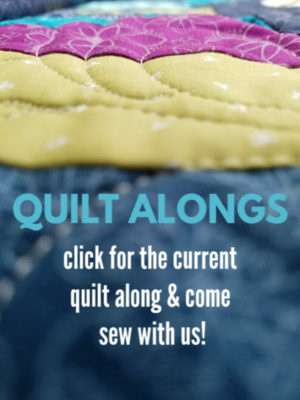 What size do I need to cut my strips to make a quarter inch bias tape? 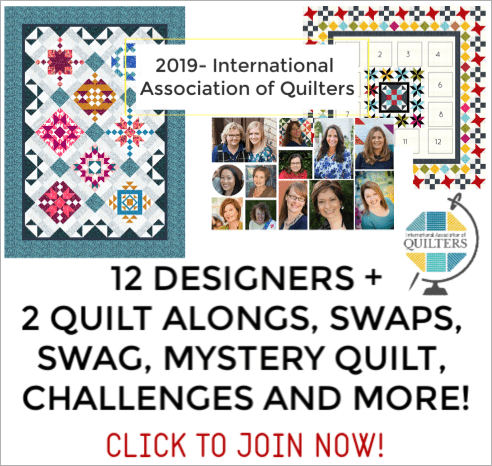 You’ll want it large enough the two sides fold over, but don’t have a lot of overlap- that will add bulk to the bias tape. I think that 1/2 inch or maybe a little wider would probably work. you may have to play with a couple of strips in different sizes to see which is best.